There was a point in time where I honestly didn’t believe it was possible to be truly free from my anxiety. However, I knew I could get to a place where I felt compassion for myself and could acknowledge that my anxiety was a part of me and not all of me. Over the past ten years, I’ve developed skills which have allowed me to be freer from anxiety than I ever thought possible. 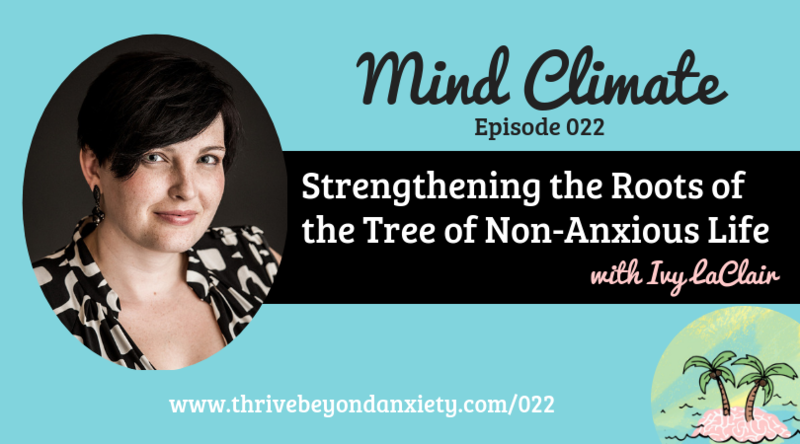 In this audio workshop, I’m sharing the three roots of the tree of non-anxious life that became the foundation for how I was able to overcome Generalized Anxiety Disorder and have a consistent, stable, and peaceful mindset. I am grounded through mindful connection to my inner self and my body. Which one of the three roots (mindfulness, your relationship with your inner self, and your relationship with your body) does your soul, gut, or instinct pull your towards as the one you need to focus on the most? Take one step this week toward strengthening the root that really called to you in your reflection.